When William the Conqueror ordered the building of Lincoln Castle 166 houses, and a church, were demolished. The people who lived in these houses were moved to an area north of the Roman north gate: this area was named New Port. A broad road ran north from Newport Arch to the edge of the Newport suburb: this had been the northern approach, Ermine Street, to the City since Roman times. There was a large market held along this road and it is thought that the first St Nicholas Church was built about this time (mid 12th century) on the north east corner of Church Lane, then known as Sastan’s Gate. Along with St Peter in Eastgate, St Nicholas’ was destroyed in 1643, during the Civil War. It was used as a battery for an assault on the castle and the lead of the roof was melted to make shot. The remains of the church were still visible into the early 19th century, but by the middle of the century maps of the area only marked St Nicholas’ graveyard. According to Venables the wall of the graveyard was constructed from the remains of the church in 1757. St Nicholas is the patron saint of merchants, travcllers, children and thieves and was very popular in the middle ages: merchants travelling between communities would visit his churches to pray for a safe journey. Close to the site of the present-day Bishop Grosseteste University once stood St John the Baptist church. This church was built about the same time as St Nicholas’ and probably stood in the middle of the road surrounded by the extensive Newport market, it was demolished in 1545, at the time Lincoln ‘lost’ 36 other churches. During the 13th century a number of priories were established in Lincoln. The Augustinian friars arrived in Lincoln in 1269 and their priory was built on the corner of Newport and Rasen Lane. The priory would have been set back from the road: it probably stood where number St Hugh’s, 23 Newport now stands, the former boys’ home. The priory had in the region of 30 friars and was surrendered to the bishop of Dover in 1538-9. Newport was a poor community, having no place of worship, the parishioners had to rely on local clergy to provide communion and other services, the benefice of St Nicholas was preserved by the preaching of an annual sermon in the churchyard and parish business was conducted at “The Turk’s Head”, a local public house on the corner of Newport and Cecil Street. The population of Newport more than tripled between 1801 and 1831 bringing many social problems. In 1822 Edward James Willson, a local architect had written to Subdean Bayley: “Newport it seems to me is in more need of civilisation than any other part of the City. There is no church, no person of the least influence, no checking of the grossest rudeness and insubordination”. 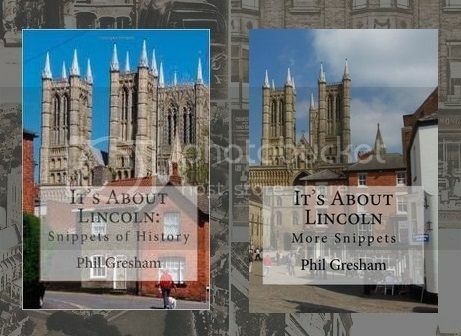 The Lincolnshire Advertiser wrote in 1835 “We are led to these remarks from the great increase of the City of Lincoln without Newport Gate, forming as it does a town to itself while there is not a church within a considerable distance to which the population may repair on the Sabbath. The natural consequences of this is that the inhabitants generally are either complete heathens or violent sectarian bigots. We do most sincerely trust that some steps will be taken to remedy this crying evil”. In 1838 it was decided a new church would be erected on a site approximately halfway between the sites of the ‘lost’ churches of St John and St Nicholas. The architect was George (later Sir George) Gilbert Scott. He won a competition to design the new St. Nicholas. The foundation stone was laid in April 1839, and the building was consecrated on 24thNovember, 1840 by Bishop John Kay. A short distance from St Nicholas’ church is Willsons Cottages. This medieval looking building was built in the early 18th century out of reclaimed church materials. It was altered by Edward James Wilson, a local architect, in 1834. Gallery | This entry was posted in Ermine Street, Roman, Victorian and tagged augustinian friars, Bishop Grosseteste University, Lincoln, Newport, Newport Arch, William Watkins. Bookmark the permalink.